God is praiseworthy because He is a personal God who has demonstrated His passion for us through the propitiation of His Son and the abiding of His Spirit. He invites us into a deep, lasting relationship with Him. What a glorious God He is! 16 For God so loved the world, that he gave his only Son, that whoever believes in him should not perish but have eternal life. 17 For God did not send his Son into the world to condemn the world, but in order that the world might be saved through him. God is a personal God who desires an intimate, deepening relationship with us. Us includes you and me. We don’t worship a God who is aloof or disinterested in our lives. We worship a God who cares for us, desires to commune with us, and delights in us. God is a personal God, but that doesn’t mean we get to make Him out to who we think He should be or shouldn’t be. We don’t get to carve out a God of our own choosing. We must accept the Lord for who He is and on the terms that He offers. He is willing to meet us where we are, receive us as we are, and love us the way we are. We can choose to meet Him or we can deny Him. It’s His table and we are His invited guests. It is up to us to accept His invitation. May the Lord continue to shine His favor upon you. 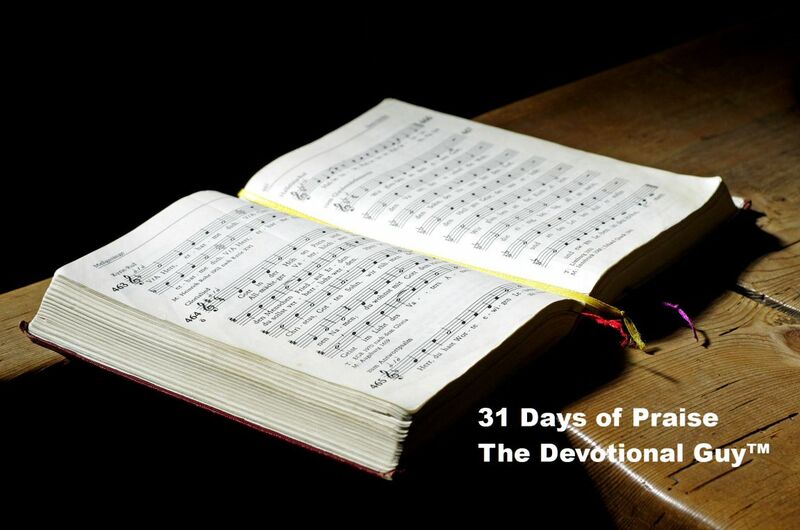 Are you enjoying the 31 Days of Praise? Please feel free to leave a comment and share how you have found God to be praiseworthy in your life. Be sure to share this blog with your family & friends and don’t forget to like us on Facebook.